"Hey look, ma! I made it!," squealed Crush Music's Dan Kruchkow with the hormonal delight of a pre-teen. 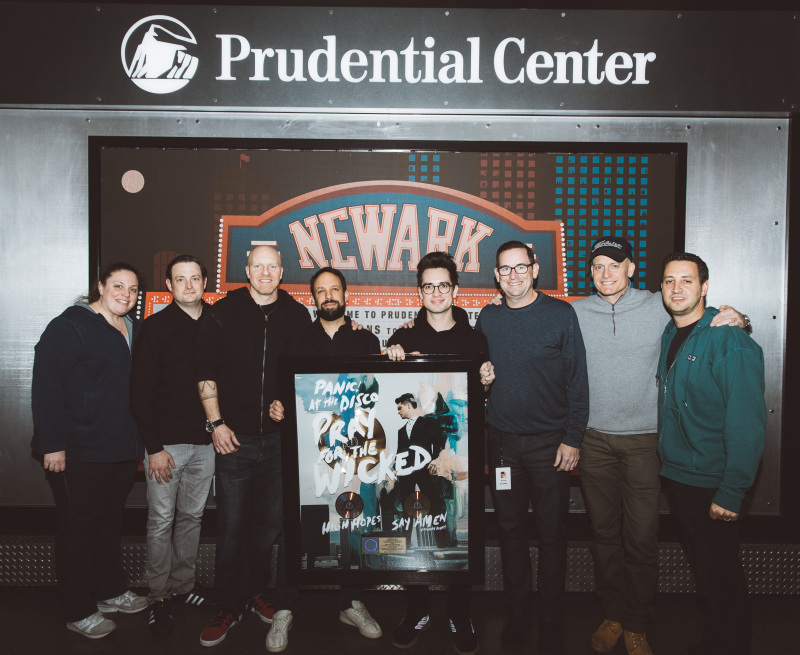 Seen before challenging the incomparable Brendon Urie (fourth from right) to a glass-breaking falsetto contest are (L-R) Crush's Gaby Fainsilber, Elektra's Chris Brown, Crush's Bob McLynn and Scott Nagelberg, Elektra's Mike Easterlin and Crush's Erik Olesen and Kruchkow. Panic! At The Disco's "High Hopes" just went #1 at Pop radio. Back in December, it went #1 at Alternative, where it remains today. New single "Hey Look Ma, I Made It" is just getting started at both formats. The band is currently out on their mostly sold-out Pray For the Wicked Tour and will hit L.A.'s Forum next Friday (2/15). The N.A. leg will wrap at Sacramento's Golden1 Center on 2/20, with Australia dates picking up in October.